Friends! In need of a gift idea? Or any of you early birds already Christmas shopping? (Do not tell me if you are. A grocery bagger at Kroger this week reported there are only eleven Fridays ‘til Christmas arrives the following Monday…I will not fret. I will not fret. I will not fret. Savor the season. Savor the season. Savor the season. Tra-la-la-la-la) All good.. This new book we’re about to discuss would make a wonderful birthday gift or Christmas gift. It’s also for guys and gals, of all ages. I’ve been blessed to be on the Launch Team of this new devotional, getting a sneak peek. It releases next Tuesday, 10/17. While you may already have other devotionals, I maintain “variety is the spice of life”, and like shoes, one can never have too many. Yes! I’ve devoured nearly all of the one hundred and twenty entries. I’ll be sharing a couple of my favorites with you in just a minute. Honestly, they’re all my favorite, but I’ll just show you a few. A true wordsmith, Cindy flat amazes me for many reasons. 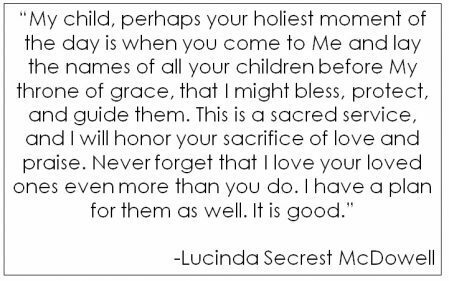 First of which is how she comes up with so many wonderful words, and secondly, how she ties each word in with a Scripture, a pertinent story and a closing prayer. She also quotes other excellent authors. You will highlight until you need another highlighter! She tells us, “‘Ordinary graces’ are surprising gifts that come to me while simply living my story. They are gifts I discover in ordinary places, like the people who touch my soul because of their courage, kindness or self-sacrifice. I even find them in the challenges that simultaneously turn my world upside down and change me from the inside out. If I’m in a hurry, I will miss them. If I am distracted, I will ignore them. But for anyone who is attentive and seeking, these ordinary graces abound.” This book will help us readers do exactly that. Cindy’s devotional that came out last year, Dwelling Places, uses words to draw us closer into the presence of God—words that focus on peace, serenity, refuge, and hope. I couldn’t begin to pick a favorite, so I’ll just say you “need” both of them! 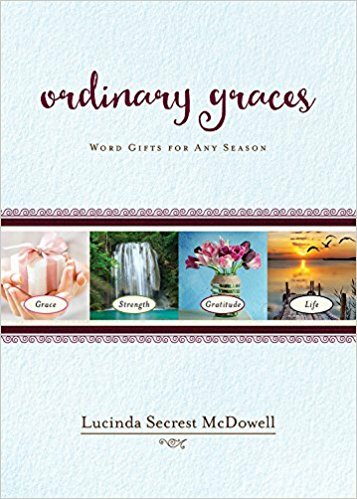 This new devotional, Ordinary Graces, introduces us to grace gifts from God to strengthen our soul and offer courage to live adventurously. Each entry is only two pages long, making for a quick, daily read. 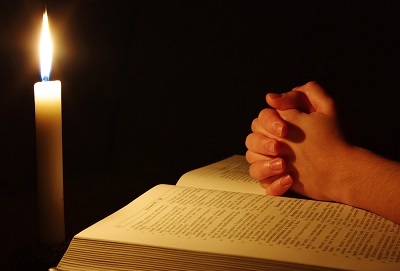 The book is divided into four sections: Grace, Strength, Gratitude and Life. Each section has thirty entries. Pick a word and dive in. Or, follow the numbers. 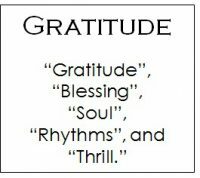 Cindy’s easy-to-read writing style is open, honest, relatable, funny, and sometimes causes you to pause and say, “Wow, the Lord is so gracious.” The entries are reminders to us to focus on Him and recognize snippets of grace throughout our day. Cindy then poses a thought provoking question: “What do you need to give up in order to receive a gift?” She shares about a season where she had to say “no” repeatedly because of being under a book deadline. While difficult initially, it ultimately helped her remain settled in her soul. “A pilgrimage is a ritual journey with a hallowed purpose. Every step along the way has meaning. The pilgrim knows that life-giving challenges will emerge. …It is a transformational journey during which significant change takes place. 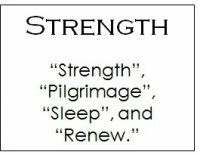 Additionally, in the “Burden” entry, Cindy shows us Psalm 68:19, “Praise be to the Lord, to God our Savior who DAILY bears our burdens.” These frequent reminders from the Word of God are also a gift and a grace. The word “Descendants” piqued my curiosity now with our new granddaughter in our life. Cindy says, “I prayed a dedication over each of my children—that they would know God and that He would always guide and protect them throughout life.” Early each morning she prays for her four children and now two sons-in-love and grandchildren. I love this and am endeavoring to do this for all of our family. Friends, run, don’t walk to your nearest bookstore and grab Ordinary Graces—Word Gifts for Every Season. You and your friends will be beyond blessed! Cindy is a gifted writer. She’s been mercifully gracious to me and our Tuesday Bible study group recently when we had the privilege of studying her book Refresh! This week we get to hear straight from Cindy, gleaning inspirational words from her newest devotional, Dwelling Places. LSM: So…. how did I come to write a book called “Dwelling Places?” Honestly, this one-word-a-day devotion (meant to both inspire and teach) came out of my own need to know. And to grow. Turns out God’s Word is full of dwelling places – those sanctuaries of refuge and abiding. In my new book “Dwelling Places” I offer 130 of those words and unwrap their meaning through storytelling, biblical teaching and hundreds of quotes from hymns and godly people who are my own teachers. I loved writing this book and felt each word and verse were truly given to me. I absolutely know the benedictions at the end came straight from God through my pen. I am humbled and grateful to be able to share these words. Why should people read Dwelling Places? LSM: My observation is that people everywhere are hungering for refuge. A safe place. A true home where they can live authentically. Ask the hard questions, and receive all the grace and mercy needed after devastation. In my speaking and writing I long to help show that all throughout God’s Word the precious concept of “dwelling in His constant presence” is lifted up. In the Old Testament we are directed to sanctuary, refuge, and called to Be Still. In the New Testament we are encouraged that Christ wants to make His home in our hearts. 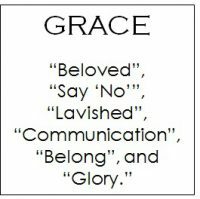 So I decided to write a devotional that lifted up these concepts – each day based on One Word in a key verse. My goal is that throughout the stories that are shared, the biblical and historical profiles mentioned, the hymns, poetry, and even children’s books will all work together to help teach the reader how to live the deeper “with God” life. But at the same time enjoy the process of knowing where to find hope, grace and mercy. In other words, these are words that touch a hurting world. 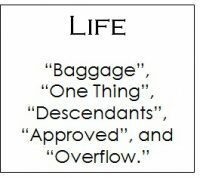 Everything I do must have a practical aspect so I hope there is a takeaway each day on how to live the word you have just been reading about. Also, I felt compelled to offer a short benediction, as though God were now giving His blessing and charge on your going forth, now strengthened with His Word in your heart and mind. Will you share some favorite quotes from Dwelling Places? THANK YOU CINDY! AS ALWAYS A PLEASURE TO SPEND TIME WITH YOU. P.S. Don’t forget about Book Club, next Monday night, September 26th, with author Kristy Cambron coming to discuss her book The Ringmaster’s Wife. 6:30-8:00 p.m., at Middletown United Methodist Church, in Louisville, KY. Bring a friend and join us! Such was a recent stand-off between Hubster and me. Guess who was saying what? For the past two weeks, I’ve been sharing about our trip to South Carolina. Confession: the weeks prior to our departure were wild. (You may recall the flood in our kitchen the week of John Jr. and Diana’s wedding for starters…) To say our escape was much-needed is the understatement of the month. As God would orchestrate, I was reading Soul Keeping—Caring for the Most Important Part of You by John Ortberg. I was dumbstruck to discover I was in no way, shape, or form caring for my soul. DANGER, WILL ROBINSON! Clearly the Lord was trying to get my attention. I can only imagine His frustration at my little auto-pilot self. Gracious. Note this happens when we’re profusely rooted in the vastness of God and His Kingdom. Here’s where we’d best plant our faces in God’s Word every day. Savoring scripture prevents our souls from crazy clutter. But… (You knew that was coming! ), if we allow ourselves to spin multiple plates, our soul will shrivel, becoming choked from clutter, blocking ways for God’s light, hope, and peace to shine thru’ us. Good news! John Ortberg serves up seventeen sensational chapters, each one dealing with different ways to nurture our souls, protecting them from our culture’s chaos. Pictured below with our author, John Ortberg, are two of my very dear friends, Nancy Tinnell on the left and Kelly McDonald on the right. In 2013, these gals attended the Leadership Institute at Church of the Resurrection in Leawood, KS where John was a presenter. Nancy is the Women’s Ministry Director and Associate Pastor of Discipleship & Spiritual Formation at Middletown United Methodist Church. Kelly works at the Kentucky Annual Conference of the United Methodist Church and is Engineer Extraordinaire of this blog. “You must ruthlessly eliminate hurry from your life. “The CLUTTERED SOUL becomes choked by worries, deceitfulness of wealth, and desire for other things. The busy soul gets attached to the wrong things, because the soul is sticky. The VELCRO of the soul is what Jesus calls ‘desire’. It could be desire for money, or it could simply be desire for ‘other things’. Oh, friends, if that’s not enough, there are more slap-you-silly sections : The Hardened Soul and the Shallow Soul. Advice? Read ‘em cuz we all need ‘em. Bottom line: We must quit buying into our culture which applauds busyness. Our culture equates success with production, eighty-plus-hour workweeks, running circles around ourselves, burning the midnight oil for those it-seemed-like-a-good-idea at the time to-do’s. 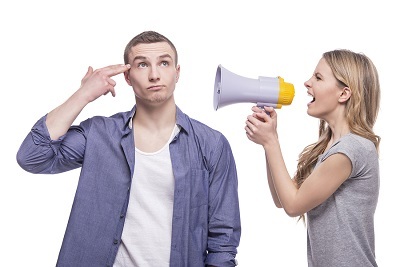 Scarier…, John adds, “A person preoccupied with externals–success, reputation, ceaseless activity, lifestyle, office gossip—may be dead internally AND NOT EVEN RECOGNIZE IT.” Any alarms going off? During Woody’s freshman year at the University of Kentucky, we experienced this scenario. First, he made the grave error of playing intramural football. Early into the season, he broke his collarbone. Badly. Required surgery in Louisville, and lots of time off from school. I prayed he’d pass his first semester. Right on the heels of his return from surgery, my Mother died. That meant another trip to Louisville and two more absences. One of Woody’s professors found that hard to believe. I had to email her and tell her where to read the obituary in the Lexington Herald Leader. Needless to say when I read about this research in Ariely’s book, I cracked up. However, cynicism had already slithered into my brain. Case in point: Our recent bathroom remodeling project underwent multiple, bang-your-head-against-the-wall-delays. Last Monday our plumber couldn’t come because his grandmother died. Immediately I said to myself, “Oh sure, his grandmother died.” I know! Pitiful. Forgive me, Lord. Good news: Our Good and Gracious God has knitted our souls to seek Him. When we’re sin sick, our souls still crave and need the right relationship with our Savior. More grace. Webster tells us, “To yearn is to have an intense longing, or craving, or desire, or appetite, or hunger.” May we truly yearn for the Lord. 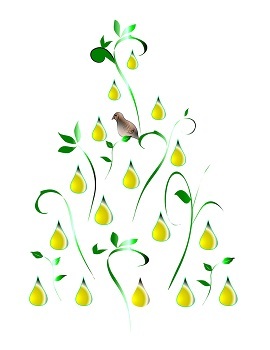 I believe the Holy Spirit will give us the answer. May we prioritize care for our soul. P.S. Another excellent book on soul care is a new release by Lucinda Seacrest McDowell (Cindy) called Refresh! A Spa for Your Soul. Our Tuesday Bible study group recently studied thru’ it with “Spa” (Spiritual Personal Assessment) as our theme. The homework is the best: Cindy recommends all kinds of things to pamper yourself. It was just what the doctor ordered for our spring time study and could be perfect for you this summer or fall. 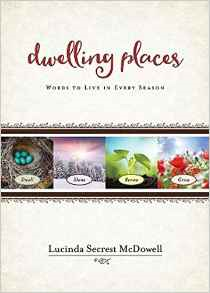 Friends, between now and June 7th, Lucinda (Cindy) Secrest McDowell’s brand-new devotional, Dwelling Places, is ready for release! Run to your nearest bookstore and grab it! What do you think of when you hear the word, “refuge”? Aren’t those beautiful? We learn that “in the original language of the Old Testament, the Hebrew word for ‘to dwell’ sometimes translates as ‘to nest’.” Let’s rest and nest under the shelter of the Lord!!! Cindy is a supremely gifted writer and storyteller. She’ll grab you from the first page and you’ll be challenged to only read one entry per day because you’ll want to keep reading! Her passion for words and for studying God’s Word is contagious. This book includes over one hundred and thirty different words and lessons! You will be blessed! This book would make an excellent gift as well. Graduations are upon us, so grab more than one when you shop! Thank you Cindy! Great job! Keep writing! Uncertain of her reasoning, it never ever occurred to me I may have shown a petite resemblance to Pig Pen from Charles Schulz’ Peanuts comic. Could there have possibly been a veritable, odorous cloud hovering over my universe? The newest Bible study our Tuesday group has started, this very week, actually suggests soaking in a tub for part of our homework. I kid you not. And, I have so much respect for this excellent author, I’m not about to disobey. The book? Refresh! A Spa for Your Soul by Lucinda Secrest McDowell (Better known as “Cindy”.) The end of Chapter One suggests we take a hot bath, perhaps with some scented bath oil, listen to soothing instrumental music, light a scented candle, and “soak up the serenity”. Ahhhh…Sign me up. While we’re on the subject of water, let’s look more at this living water. There’s a hugely upbeat song out right now by Jordan Feliz. I heard him interviewed on the radio recently about his song, The River. to lay the troubles down eating your soul. This beautiful, grace-filled living water, from Jesus, and flowing water, from our soothing soak in a tub are Part One of our Spring Cleaning Series. The whole overwhelming concept of “Spring Cleaning” usually causes me to groan…Take heart, it’s my goal over the next few weeks to give you some ideas to make you smile. Now, GO TAKE A BATH…. At the end of the week, like a train wreck, my poor, pitiful self ran head on into my poor, unprepared husband. God Bless him. The proverbial straw that broke the camel’s back happened in the morning of day five-for-five of frenetic faux pas. Consumed with concern (close cousin to worry) all I really needed was time to recharge. We have recently finished our porch and I decided with such a pretty day, this was the perfect place to do just that, RECHARGE. Armed with books, laptop, and a steaming cup of coffee, I dumped said pile in a chair. At that very moment, a large red blur blew by the window. “Please tell me that is not our painter!” I said to myself. Sure enough, it was and he was going to paint, you guessed it, all around the porch. Busted. I retreated to John’s office and set up again. The mailman made a delivery. Like a doctor writes out prescriptions, my favorite pastime is recommending books. 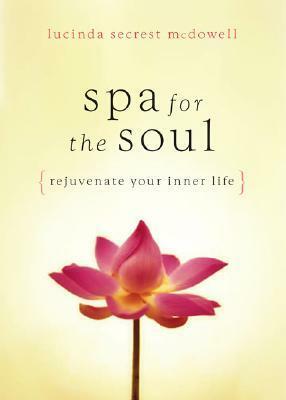 One resource I’ve come across is Spa for the Soul: Rejuvenate Your Inner Life by Lucinda Secrest McDowell. 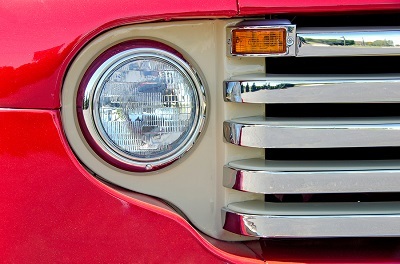 It literally rejuvenated my about-to-blow-a-gasket soul. 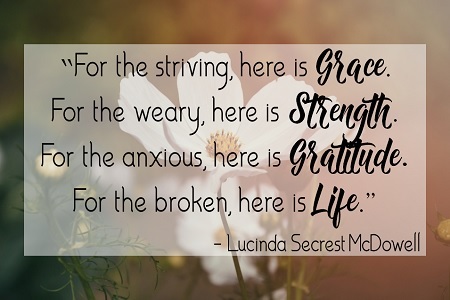 Lucinda then teaches us the word spa is an acronym coming from the Latin Salus Per Aquam which means “health by water.” At the end of each chapter, she also gives us a different “spa”: Spiritual Personal Assessment. These are excellent. Why do I forget the very same rejuvenation by still waters is right in God’s Word? Satan is at the helm of driving distractions our way. Be aware! He can scramble us into a frustrating froth exactly as he did to me all week long–to the point I had to ask my friends to pray for unscrambling. God Bless ‘em. The power of prayer did indeed bring clarity. We praise you, Lord. Next time you’re derailed by a distraction, retreat into God’s Word. 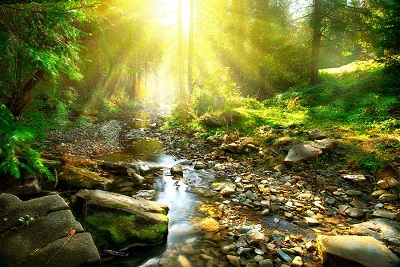 Put down your roots in the life-giving water to soothe your soul. And while you’re at it, treat yourself to a glorious bubble bath. A petite spa is better than no spa at all, right???!! !